Scientific Day began at 9 o’clock in the morning on June 2nd, 2018. 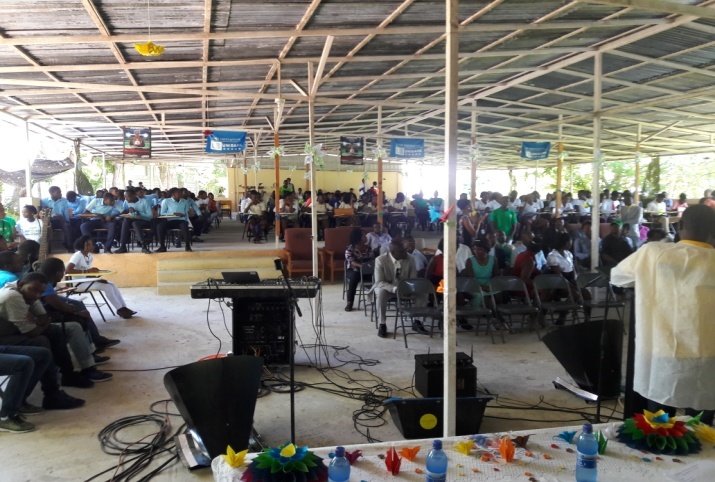 The event took place in the auditorium at University Notre Dame/UDERS in Hinche. The Biogas and Solar Stove committee organized and planned the event. 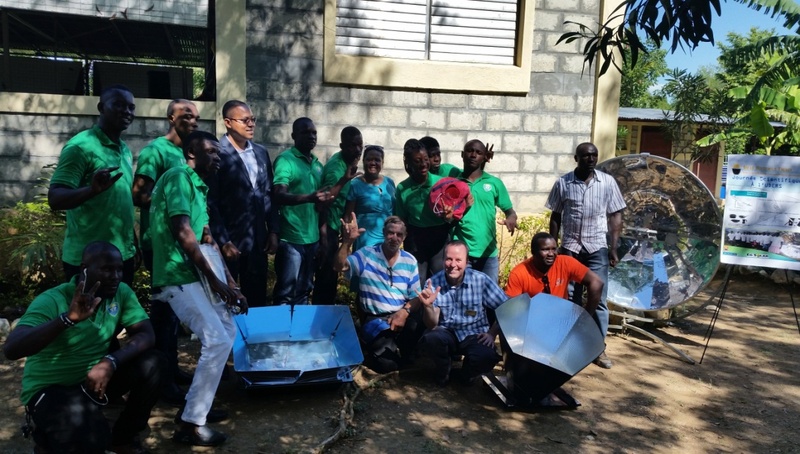 The program included both PowerPoint and live presentations on biodigesters and solar stoves. 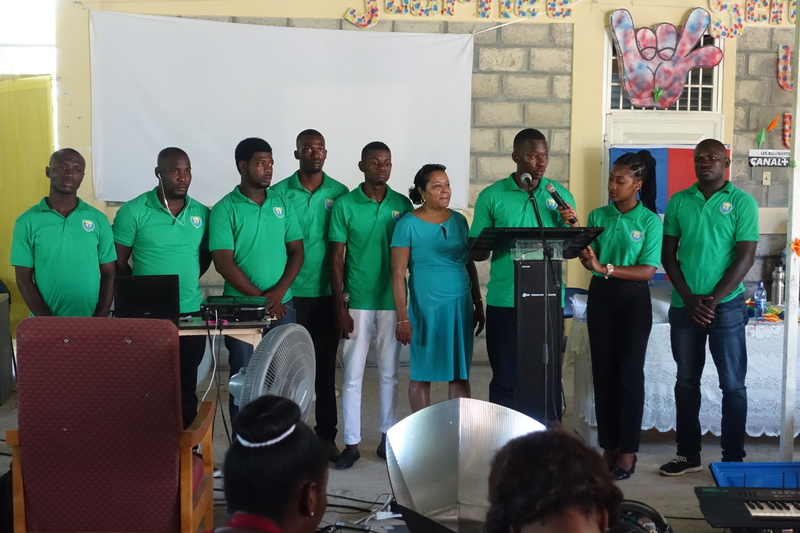 The presentations were mostly conducted by bioscience major students at the university, as well as by biologist Jocenais Pierre. According to the committee, over 200 people attended the event. There were also several media outlets that conducted interviews with some of the stakeholders and participants. 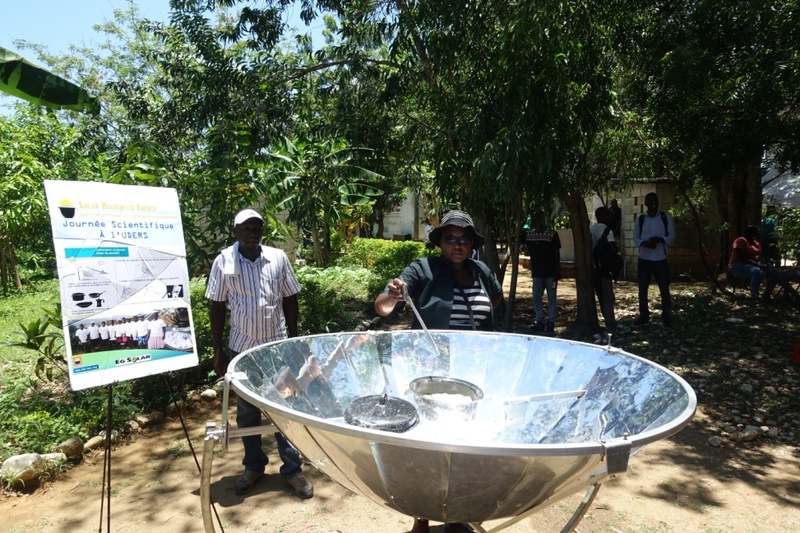 During one of the breaks in presentations, the audience was invited to go look at the parabolic stove and the biodigester that were set up on the field. Idamane Supreme, Marc Breus, and Onel Joseph were stationed on the field to answer the attendees’ questions about the Premium 14 parabolic stove. On the other side of the field, the biogas team conducted a field presentation about the biodigester. 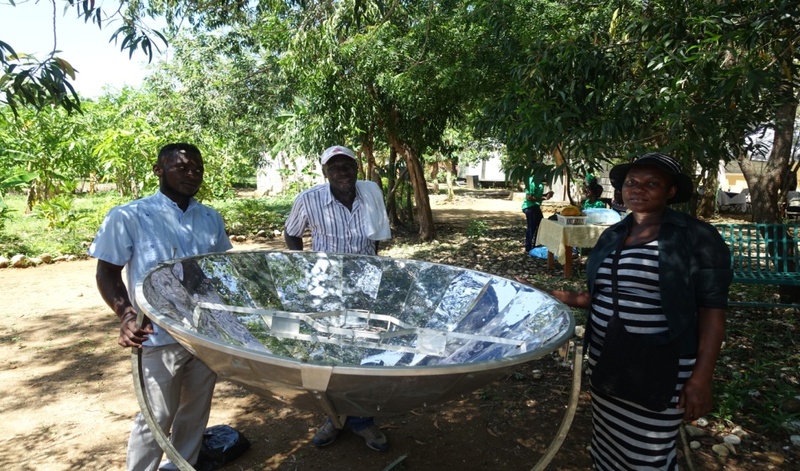 Near the end of the day, Idamane and Marc conducted a live cooking demonstration with the parabolic stove. Within 30 minutes, (about 2:45 PM) they had cooked porridge out of toasted French flour using the parabolic stove. The porridge smelled and tasted great, and all of the participants were excited about the results. 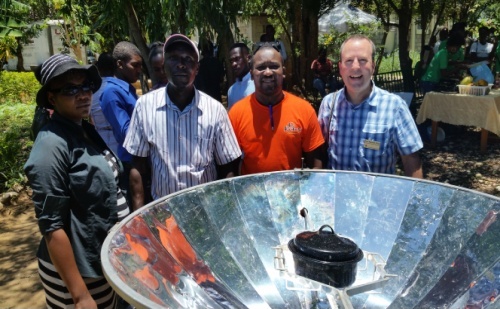 To watch the solar cooking demonstration at Scientific Day click here….